As you may know, I kickstarted my first project in 2012 - the Altum dress shoes - basically zero drop shoes that I could wear to work (and in fact still do). Although they kickstarted well, it seems like they ran out of steam (or maybe fell out with each other) because there is no news on that front and meanwhile several other credible options have come to market. 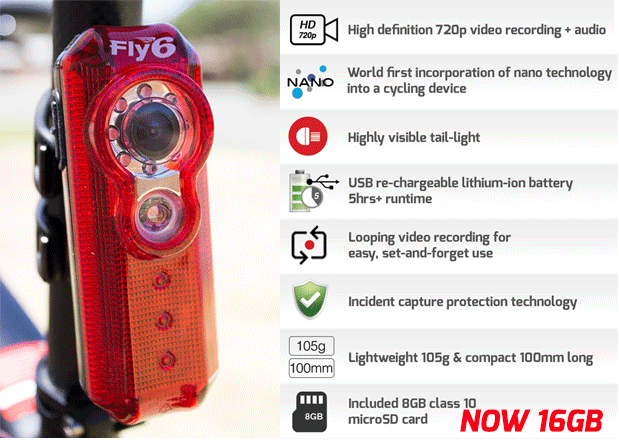 I was very tempted by the Fly6 Kickstarter project but decided to wait until they went to market. I was reminded of it when in Singapore, where every taxi driver has a camera recording everything that happens on a loop, just in case there is an accident. Ever wondered why there are so many accidents on Youtube in Russia? Well, its because everybody has one of these little cameras - it might even be a legal requirement. The Fly6 is an equivalent for bikes which faces backwards, naturally, as this is the most likely source of any problems you might have. It masquerades as a red light but don't be fooled - it has a decent quality camera with a very wide angle. It also has a sensor which detects whether your bike has been lying down for more than a few seconds, after which it waits a further hour before automatically shutting down, thereby conserving any important footage just in case you are not in a position to stop the camera yourself. Hopefully it will never come in handy but it could be interesting to catch cars driving dangerously close or, for that matter, fellow triathletes drafting in non-drafting races (they have even thought of including mounts for aero seat posts in the package). On the website there are a number of quite amusing as well as shocking videos of people driving badly, people falling of bikes spectacularly as well as - in one particular case - a woman being groped by a passing motorcyclist! As a result of buying the production model Fly6, I was just browsing Kickstarter when I came across a fascinating product. It sounded a little too good to be true until I read the review by Steve Magness on his blog. 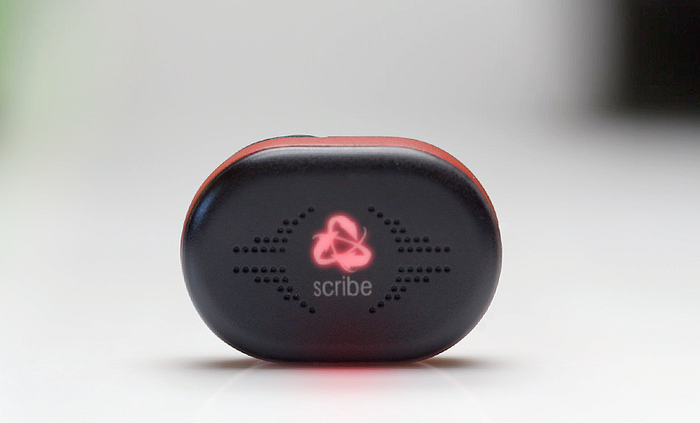 The runScribe is a tiny little device that you hook on to the back of your running shoe which is able to measure such things as contact time, stride length as well as how much you pronate. The applications are pretty much endless: you can compare shoes, analyse differences between your feet, see what happens to your stride length as you tire, try out different running styles etc. As well as this, they are planning to harvest all the data into a Big Database which they can use to analyse trends and try to reach unbiased conclusions on which shoes are best for preventing injuries and other such questions. Of course, it is also good business sense that they set up a subscription model rather than a one off payment for the device itself, but they claim that this will be low-cost or no-cost and, if the data proves to be useful to shoe companies, this may well be the case. Anyway, the Kickstarter still has a few days to go so, if you are interested, you can grab one for yourself and have a share in the excitement of what I think could be a groundbreaking project. If you'd rather wait for the early adopters like myself to get through all the teething problems then keep an eye out for when this product hits the shelves. UPDATE: In spite of the Kickstarter campaign being over, you can still get hold of a pre-sale runScribe from their website.